When label printing is a key element of your business operations, flexibility and ease of use are essential to choosing the right printer to meet your needs. Sato’s latest generation of industrial printers, CL4NX and CL6NX, go beyond high resolution printing with support for any media type, a variety of connectivity options, and an intuitive interface to make them the only printer you’d need in any environment. Reduce training and maintenance, improve overall sustainability and add enterprise IT connectivity with the CLNX series. Unequaled by any current competition, the Sato CLNX Series provides the most capable standard feature set that is easy an intuitive to operate. Available in two versions, Cl4NX (4.1″ width) and CL6NX (6.5″ width), the CLBX series is the perfect fit for any barcode or RFID printing environment. 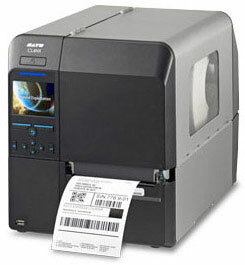 The ​successful release of ​SATO’s new CLNX Series ​​brought about ​a sequence of End of Life announcements ​​for various models of SATO Industrial Thermal Printers. ​To help your business simplify its transitions to the new series, we have created an easy ​​mapping solution from the EOL SKU​‘s​ to the new CLNX Series ​set of ​SKU​‘s​. Service and Warranty: SATO America will honor all warranties in place and maintain our service obligation by supporting and servicing discontinued printers through SATO America, as long as parts are available.